The Geminids meteor shower is my favorite of the year, and the one I've had the most consistent luck observing and even photographing! I really can't say enough about this great meteor shower, it was my first one since taking up skywatching as a more intentional hobby. It's a fun memory because on both nights I photographed the meteor shower I went to midnight showings of The Hobbit. In 2012 we saw meteors through the car windshield while driving to the theater, there were so many of them! 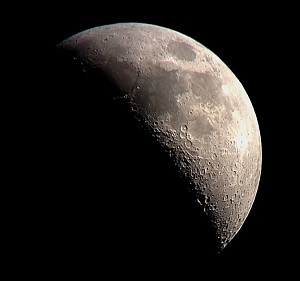 In 2013 I got back from the theater in the middle of the night and set up my camera on the balcony to shoot away - I was exhausted from seeing a double feature and let the camera do the observing for me. 1. Keep looking in the same spot with a view of the most sky possible in the general direction of the apparent radiant. I used to think you had to look at the exact radiant point - the spot the meteors appear to be coming from. But you actually see much longer trails a little further away from that point. Just look where you have a comfortable view of the most sky possible. 2. Use a high enough ISO to capture the quick faint meteors. I started using ISO 400 and saw a bunch visually but didn't catch anything on the camera. Now I use ISO 800 in 15 second exposures. Find a high ISO that isn't too noisy. 3. Stop moving the camera! 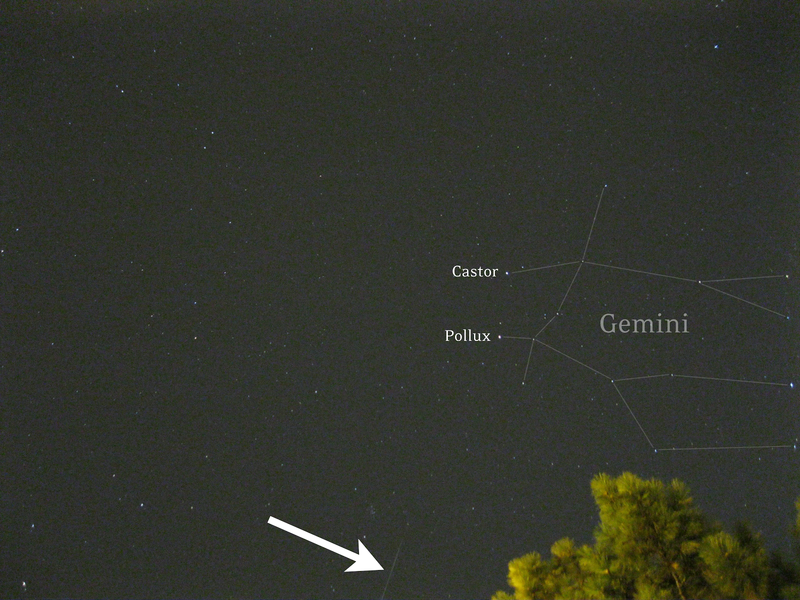 This is just random chance, and a natural tendency to want to point the camera to where you saw meteors in the past. Well lightning doesn't strike the same place twice, does it? (Actually, it does, but that's not the point). So keep your camera in one spot and let the meteors come to you - just keep your fingers crossed. 4. You might still see meteors even if the moon is out, and even if you have light pollution. A lot of astrophotography sites will complain about the horrid moonlight ruining the show - but don't let that discourage you. You're not looking for professional photos, so go out and give it a try, or just go take a look. You never know what you'll see! 5. You can still see meteors even on the non-peak nights. 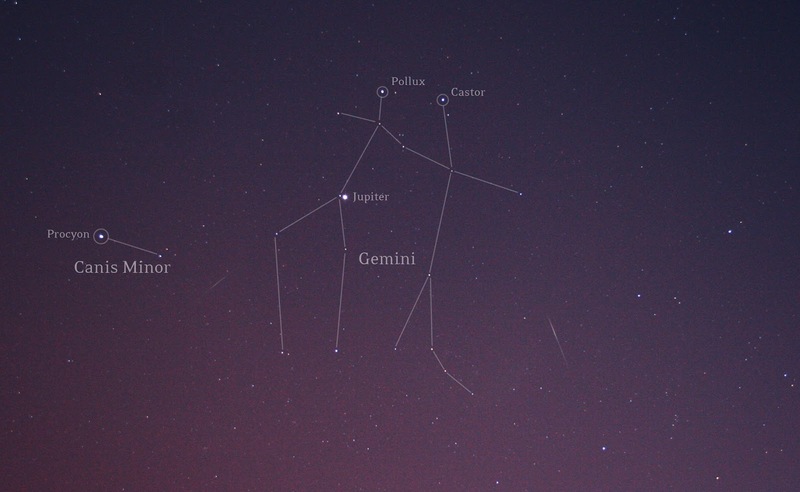 In fact, you can see Geminids from around December 4 to December 17. So, if your forecast looks miserable on the actual peak night, have a go a little early or late. I actually got my best photo the day before the peak last year. 6. What camera settings? From suburban skies, I like 18mm (as wide as possible), f/4.0 (as open as possible), ISO 800-1600, then adjust the time to avoid washing out the sky, for me that's about 15 seconds each. 7. Without meteors, star trails are a consolation prize! If you've snapped hundreds of frames with no meteors, you have a nice batch for star trails - a beautiful consolation prize after a long cold night!